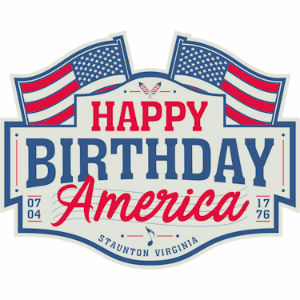 Nashville-based Gordon and Bryan Kennedy have been added to the concert line-up for the July 4 Happy Birthday America. The free concert features Wilson Fairchild with Langdon and Wil Reid. The show is scheduled to be broadcast by various PBS stations across Virginia. The addition of the Kennedy brothers to the concert line-up was a natural thing to do according to Langdon Reid. Happy Birthday America is a new, non-profit organization hosting the annual 4th of July festivities in Staunton’s Gypsy Hill Park. The event was created by The Statler Brothers in 1970 as a hometown celebration of Independence Day. The complete schedule may be found at www.happybirthdayamerica.org.